OpenText™ "What is a content management system (CMS)?" - Open Text Web Solutions Usergroup e.V. The names (and acronyms) may be similar, but there’s a huge difference between the different solution sets that can fall under the banner of Content Management System (CMS). So let’s try to clear up the confusion and explain the role for an enterprise CMS today. CMS as a term has been around for a long time. A content management system can be defined as a system used for creating, editing, managing and publishing content in a consistent and organized manner. In many ways, a CMS can be seen as the forerunner of today’s Enterprise Content Management (ECM) solutions. ECM grew into set of processes, strategies and tools that allow an enterprise to capture, manage, store, preserve, deliver and measure content throughout the enterprise and beyond, whereas a CMS has best become understood in the context of web development. Ovum has said that ‘confusion in terminology reigns in the Content Management System space’. If you take a simplistic view, things are a bit clearer. Today, CMS software comprises the range of website builders that help manage content for publishing on the internet, either on the public world wide web, or on an organization’s internal intranet. You know the kind of package – WordPress, Magento or Weebly. More powerful content management system solutions exist – such as Drupal – that allow you to create functional and feature-rich business websites. However, they can’t deliver the personalized, omnichannel experience that customers and staff require today. The best CMS software solutions fulfil the extended online requirements and are called Web Content Management Systems (WCM). The WCM is a range of tools to create highly customized and personalized content that can be delivered on the website, social channel or mobile device of the customer’s choice. You can also use your web content management system to create intranets that let your employees and partners to share and collaborate on content – any time, anywhere, any device. 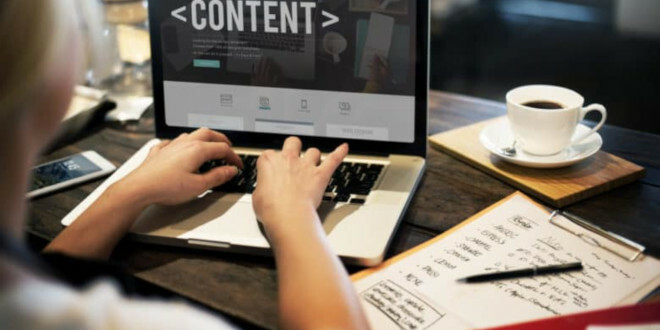 Powerful web content management systems – such as OpenText™ TeamSite – integrate seamlessly with complementary solutions such as Digital Asset Management, analytics and social capabilities. When taken together, such a web content management solution could be described as an enterprise CMS, as opposed to an ECM system, (so Ovum was probably right!). Here’s some of the things you should expect in the best content management systems.